In recent years, there has been an increasing focus on the gender equality, with extensive research on discrimination and the gender pay gap. Even in a female skewed industry like HR, a pay gap of $10,000 still exists between male and female employees. Apart from avoiding unconscious biases during salary review process, a new research released by economists from INSEAD and universities in Denmark and the United States revealed that pay transparency has a positive impact on closing the wage gap. The working paper noted that following the introduction of Denmark’s 2006 Act on Gender Specific Pay Statistics – which obligates companies with more than 35 employees to report on gender pay gaps – a 7% reduction in the gender pay gap was found. Researchers analysed data from 2003 to 2008 and focused on companies with 35-50 employees and compared their pay data with identical information from a control group of firms with 25-34 employees – firms of a similar size but that were not required to release gender-segregated data. The researchers also ensured that this difference in men’s and women’s pay was not driven by differences in demographics, work experience, macro trends or selection into specific occupations. They found that before the regulation was introduced, the firms analysed paid their male employees a 18.9% wage premium. 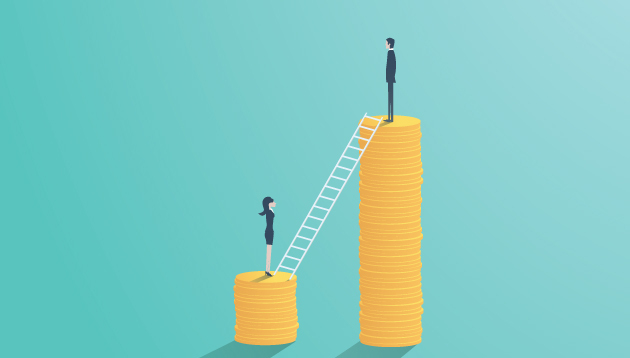 After the regulation, the researchers noted the gender pay gap had shrunk to 17.6% in the approximately 1000 Danish firms governed by the new 2006 legislation – a 7% reduction in the pay gap compared to those not required to publish pay statistics. Morten Bennedsen, professor of economics from INSEAD and the University of Copenhagen, said: “For the first time we are able to document, that pay-transparency really works. A 7% reduction in the pay-gap may not sound impressive, but given the fact that only a limited number of firms in Denmark are governed by this legislation the effect is significant. We can even prove the effect amongst firms, that were not required to provide gender segregated pay-statistics. Although wages for both male and female employees increased during the period analysed, the researchers found an overall decline in the wage premium for male employees in firms subject to the legislation, noted Daniel Wolfenzon, professor of finance and economics and chairman of the Finance Division at Columbia Business School. Firms included in the legislation hired 4% more women in the intermediate and lower hierarchy levels than control firms. More women were promoted from the bottom of the hierarchy to more senior positions, after the implementation of the law, while researchers found no significant change in promotions for male employees. A 2.5% decline in productivity was found in the affected firms. But with the simultaneous 2.8% reduction in the firms’ total wage costs, there was no significant effects on overall firm profitability. Nearly half of Malaysians have not started planning for their retirement because they're "still young" and expect their children t..